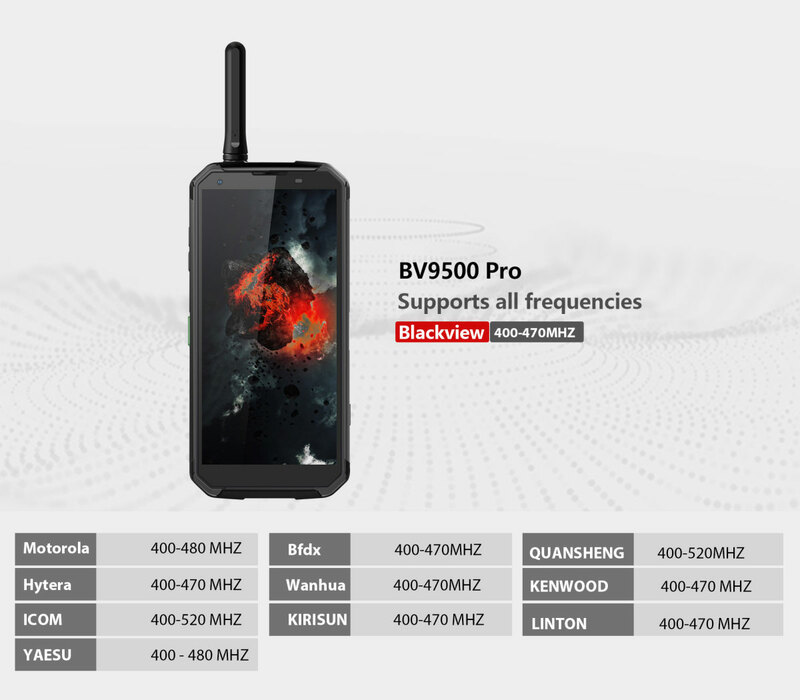 It’s pricier than a lot of the rugged Android smartphones coming from China, but the Blackview BV9500 Pro possesses all of the key features in an almost indestructible design which makes it the most useful of the lot. 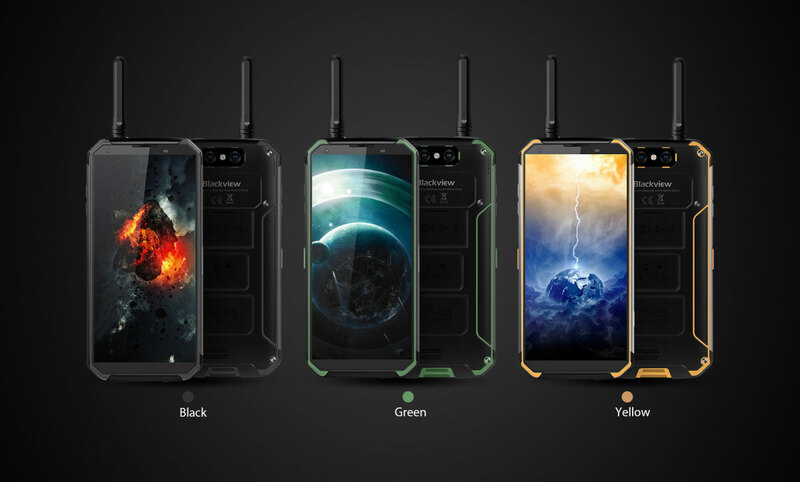 Blackview has a range of rugged IP68 certified Android phones available and they tend to be both tough and affordable, if a little light on features. This latest model, however, comes in at a considerably higher price point and it has all the bells and whistles including PTT (push-to-talk) for walkie-talkie style communication. It’s also the largest rugged handset we have yet tested because it’s packing a huge 10,000mAh battery. With it’s solid aluminium sidebars and chunky polycarbonate casing, this brute of a smartphone looks hard enough to hammer in nails. Blackview calls it tri-proof because it is resistant to water, dust and knocks and claims it is the ‘most indestructible smartphone on the market’. 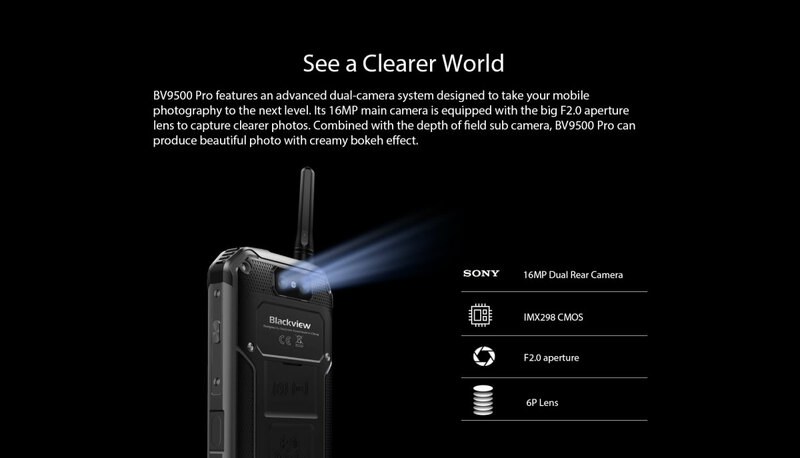 The Blackview BV9500 Pro is a seriously looking handset. From its solid aluminium side cheeks to the fourteen visible screws that bolt its rugged shell together, this looks and feels like a phone that won’t fail if you drop it in a puddle. 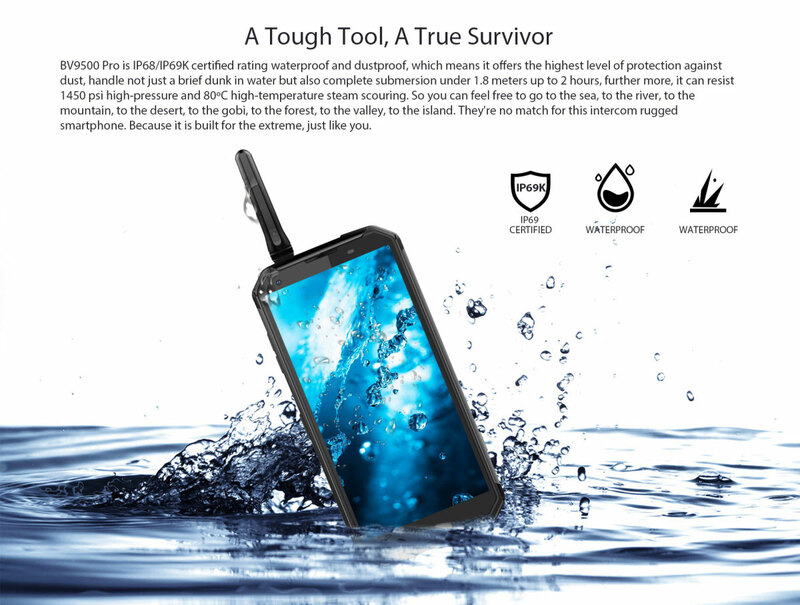 The IP68 certificate confirms that it will survive for two hours in 1.8-meters of water and Blackview says it is drop-proof to 1.8-meters too. The 5.7-inch screen is made from Gorilla glass and it is protected by rubber bumpers at the four corners and more rubberised polycarbonate at the back. Unusually, for a rugger phone, there are five fairly buttons buttons on its left and right sides, two for volume, one for power, an assignable function button and one marked PTT (push-to-talk). The fingerprint reader is at the side too, but there are none of your usual rubber seals concealing the ports and SIM card slot. The USB-C port is open, but nonetheless impervious to water and dust and the dual nano SIM slots are hidden behind a screw-down hatch on the back panel. You can slide a microSD card in there too. Apart from its obvious size (this phone is almost 2cm think) the other physical thing that literally sticks out about the Blackview BV9500 Pro is its antenna. This bundled accessory screws into a sealed port at the top so that you can use the phone like a walkie-talkie to communicate with anyone else on the same frequency, while the button is held down. Our sample has yellow plastic detailing, but black and green are also available. 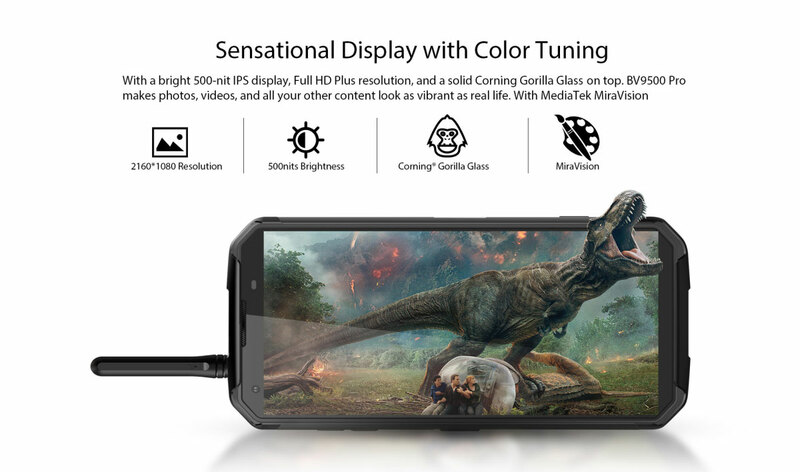 The Blackview BV9500 Pro has specifications in line with the other budget rugged handsets with a Helio P23 octa-core processor backed up by 6GB of RAM and 128GB of ROM. This combination scored well against the rest of the rugged set in our bench tests, but it didn’t run rings around them. 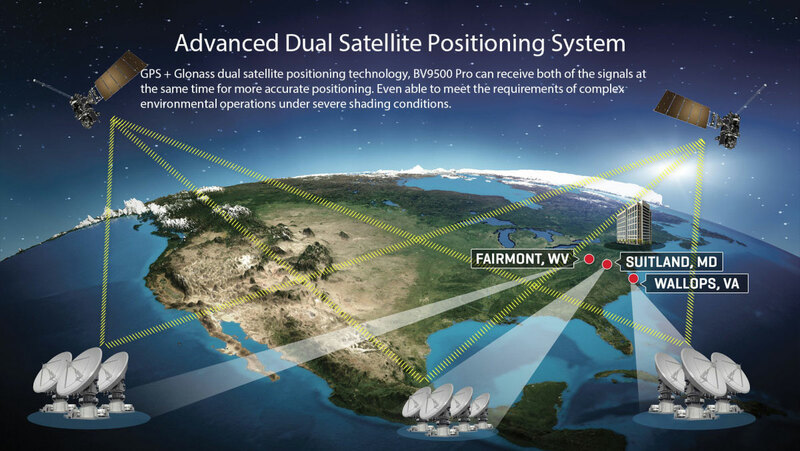 Despite the higher cost, it isn’t much more powerful than the BV5800 Pro. The screen is a better size though at 5.7-inches and it manages Full HD quality with 500NIT brightness. 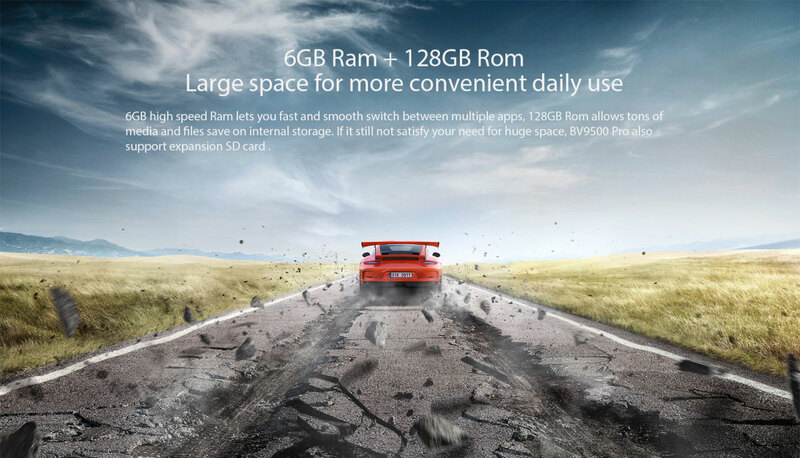 Where this smartphone really justifies its higher price, is in the features department. 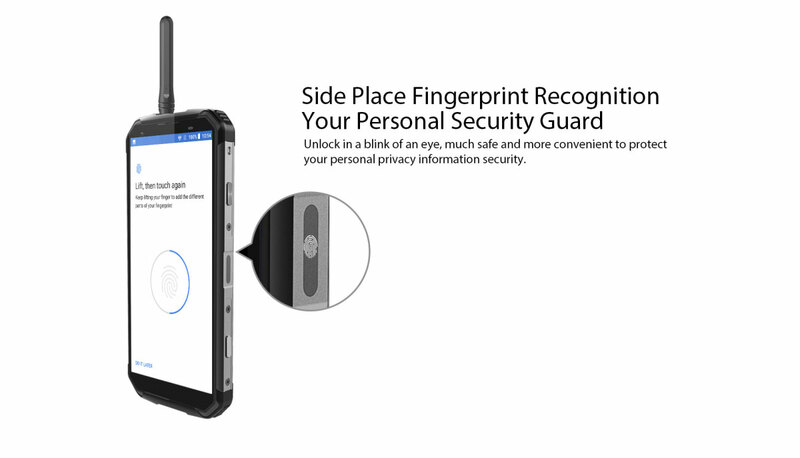 It matches all of its competitors and raises the stakes with functionality that is geared toward delivering a phone that will serve as a tough tool in adverse conditions. There’s the enormous battery of course. 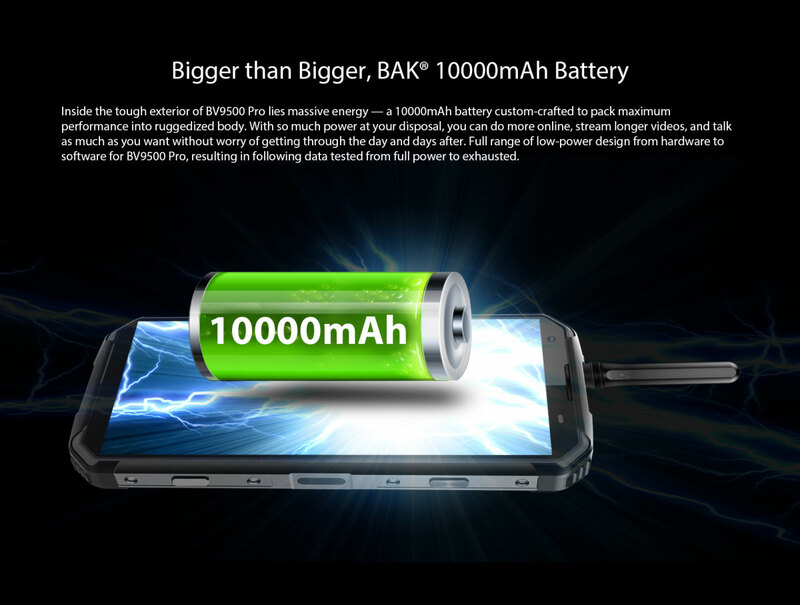 With 10,000mAh, you can be fairly sure that the Blackview BV9500 Pro will work for five days of average use without a charge. And when it comes to charging, you can either use the USB-C port to fast-charge, or buy a QI wireless charger and forget the cable. This is a real asset when you have a wet phone and don’t want to mess around with electric cables. The PTT button is perfect for teams working outdoors too. Even with gloves on you can press the big yellow button and Digital Intercom app and simply hold the button down to talk to anyone else with a similar device on the same frequency. The assignable function button is another big bonus because you can, for instance, instruct it to open the torch app with one press. 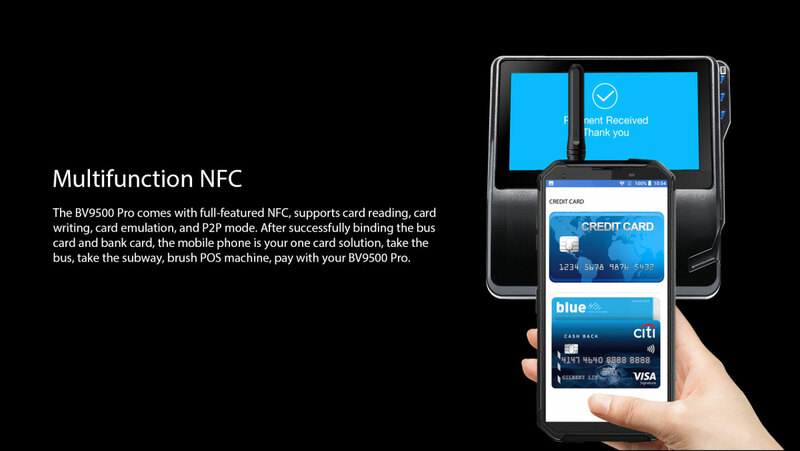 The fingerprint reader, face unlock, NFC etc are all welcome features, but expected on an Android at this price. The package also includes in-ear headphones and a tiny screwdriver for unscrewing the rear panel that has to be removed to insert your nano Sim card. At 376g, the Blackview BV9500 Pro is without doubt the heaviest smartphone we have lifted onto the test bench and its bulk takes some getting used to. 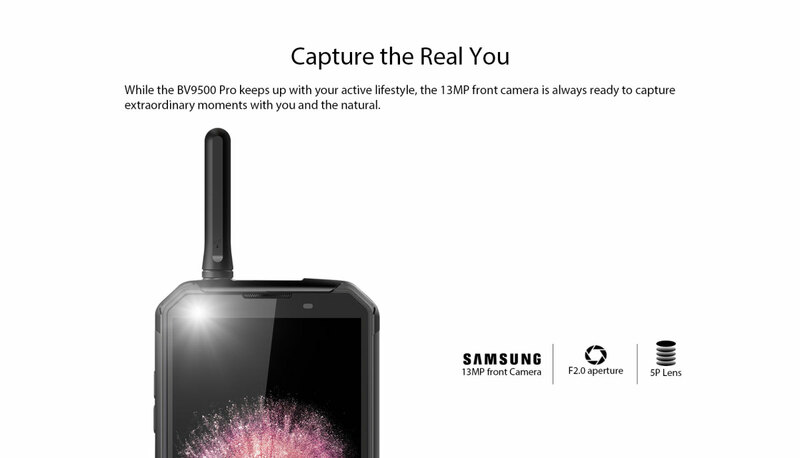 It’s probably not going to fit into your pocket, so the inbuilt lanyard clip at the bottom of the phone is an asset. It means you can have the phone swinging from your belt when you’re climbing a ladder, for example. 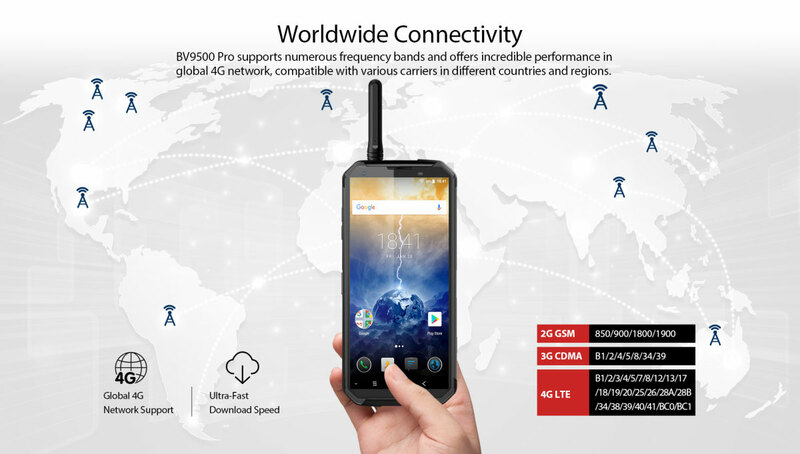 The PTT button is a great feature in an outdoor smartphone, even though the only other phone we could find with a compatible frequency channel in Blackview's portfolio was the BV5800 Pro. But don't fear, any walkie-talkie that operates in the UHF 400-470MHz range should be compatible with it, even low costs ones. If a whole team, or workforce are equipped with a phone like this, however, it is easy to see how time and call costs can be saved by communicating via PTT. We linked the other physical function button to the torch app, which is another feature that you tend to need when you don’t have time to negotiate a touchscreen interface. The camera app also comes on immediately with a double press of the power button, making this a great phone for gloves-on usage. 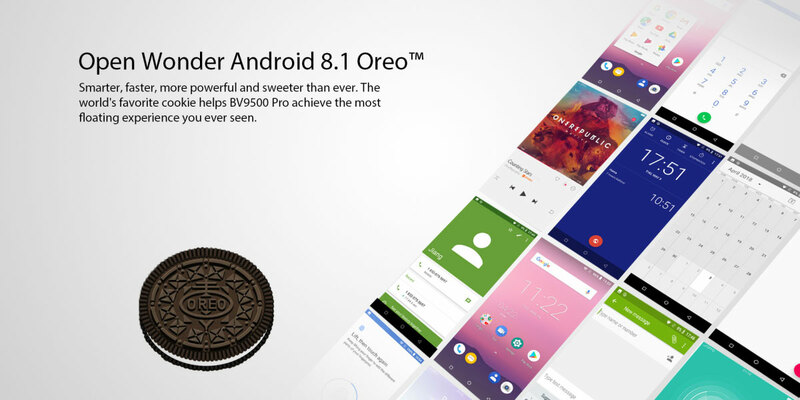 The Blackview BV9500 Pro runs Android 8.1 Oreo smoothly and every app we tried worked without incident. Only the more graphics-heavy games caused the system to slow down noticeably. The camera app is very basic and the bokeh effect is rubbish, but regular pictures and 1080p video taken in natural light look very crisp. Call quality sounded a little robotic, but fine and the external speaker is not as loud as you might expect from such a large device. In all other respects, the Blackview BV9500 Pro is very easy to use and the battery just goes on and on, however hard you try to drain it. Final verdictThe Blackview BV9500 Pro might have all the elegance of a house brick, but that build quality is reassuring and the big battery will make sure you are never caught out when you really need a working phone. 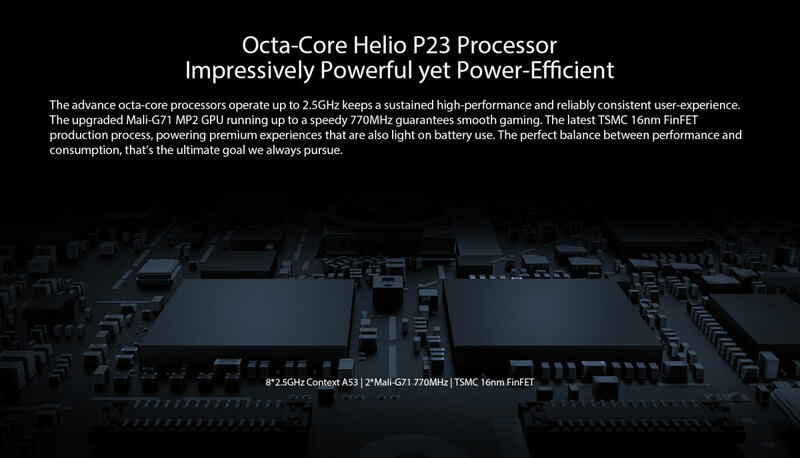 The Full HD display in 18:9 ratio is bright enough to be visible in full sunshine, while the Helio P23 CPU is enough to make Android Oreo look great on this generous 5.7-inch screen. 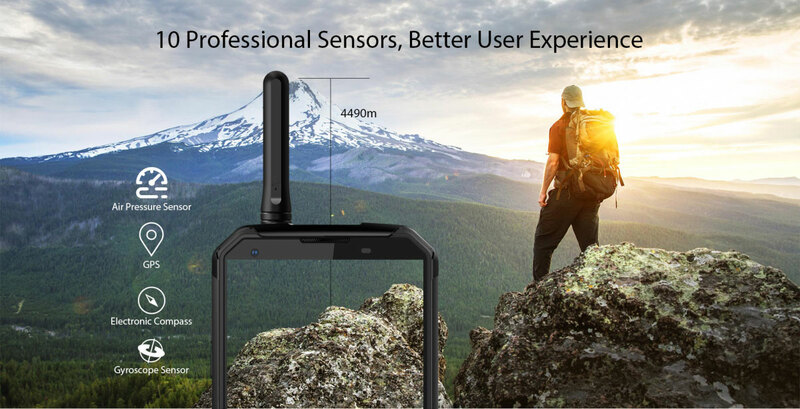 What makes the Blackview BV9500 Pro stand out above the rest of the rugged set is its comprehensive list of features that make it ideal for outdoor use. In short, this is one of the toughest and certainly the most flexible multi tool that you can sling into your toolbox. Had it for a month or so now. No problems, great battery, good reception. I loved its ruggedness and the incredibly long lasting battery.The price is also really fair. Everything corresponds to the description. I am very happy with this product and hope to use it for a long period of time. The battery keeps it active fro a long tine. Very good choice works nice all OK. Maybe the weight of the phone is a little bit more than I expected but it's not a problem. Just got this phone and so far it is awesome! Received today.The parcel it was fine.The phone the same, perfect conditions, very fast and very good for this price. Very nice Android phone! I am very pleased with it's functionality and performance! Shipping was fast. Phone is a little heavy but its great. I received it a week ago. Packaging was outstanding! All company should learn from you! COMPLIMENTS. External packaging were perfect, strong, sealed labelled. No cahance to open it without recognition. Internal packaging was also perfect plastic gags for each components, foam protection also by components in a very pro way, then the sealed product package is very impressive. I love it, it become my main phone changed from HTC M8. cannot feel difference in usage, only deviance is the voice, but that is an unfair comparizon. VB has OK sound. Provided earphone is pretty OK. Tested with audiophil... I will keep the M8 for music purpose. Via Bluethooth the music is very OK in the car, calls are clear and echoless via the car system. Apps performance are really OK. Google maps staring immediately by Shortcut button. Locus map working perfectly smoth. GPSs found really soon, accuracy is high. Bluetooth and WiFi always on 2 SIMs in it and average business use with some ~30-40 minutes navigations min 2 per days - battery time is 4 days!!! COMPLIMENTS Great product. Great design. Nice look. Radio intercom is working but not tested in fine details with the sub channels. If those work then it is FANTASTIC!!! FM radio is also vorking fine. Camera is also OK to my needs. I am using it as a support camera to my work, without too high demand. Low light performance is important, but not tested so far. What i would greet is the high frame rate video, even in the low res area. 720+ fps that would help a lot to understand some quick processes. That is missing from the actual SW. I was not able to find EV+- possibility in photo and video mode. Without that all pics become a daylight pic. But to record an atmosphere exactly that is needed. That would increase the level of usefullness to a higher dimension. I think these are just a SW Question, what can be inproved easily. HW is powerful enough to manage these. I received it like two weeks ago, and I only had to charge it once so far. Works as inteded. It's a bit too easy to press the PTT so I open the Intercom accidentally a lot of times, but with some getting used to it shouldn't be a problem in the long run. Copyright © 2018 Blackview. All rights reserved. Doke Communication (HK) Ltd.